One of the many educational programs produced by Hawaii Women in Filmmaking is the Summer Reel Camp. Here, a student learns animation techniques. Jane Campion, Kathryn Bigelow, Angelina Jolie. Mention those three names to any random group of persons and many individuals would perhaps recognize only Jolie from that brief list of names. The main reason would be that Jolie is a well known, worldwide celebrity and movie star. However, Angelina Jolie is also a film director who has helmed features such as Unbroken. The other two women in the list happen to be directors as well. Jane Campion has directed films such as the Oscar-winning picture The Piano and Kathryn Bigelow won an Oscar for directing The Hurt Locker, in addition to sitting in the director’s chair on other films such as Zero Dark Thirty. Despite the often sterling work of female film directors, both in narrative feature film projects and in documentary films, women filmmakers are often little known and constitute smaller numbers in the industry. 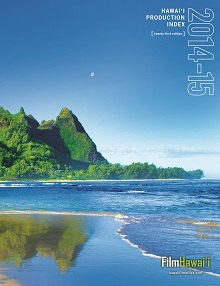 Enter Hawaiʻi Women in Filmmaking (HWF). Now celebrating its 5th anniversary in 2016, Hawaiʻi Women in Filmmaking was created on February 23, 2011 by Vera Zambonelli. A film enthusiast who used videographic methodologies in her doctoral thesis, which recently earned her a Ph.D. in Urban Studies from UH-Manoa, Zambonelli has also worked on a number of local film projects—including shorts—as a camerawoman, production designer and assistant editor. Zambonelli created HWF to redress “gender inequity” in the film industry, but also to create the conditions for young girls and women to make films and possibly working one day in the film industry. “How do we put more women and girls behind the camera?” Zambonelli noted is a crucial question in solving gender inequity, as more women and girls behind the camera will also change how women and girls are portrayed and the type of stories we see in front of the camera! A participant in 2015′s Summer Reel Camp. HWF is currently based at the Hawaii Filmmakers Collective in Kaimuki where the non-profit organization holds several initiatives, including monthly gatherings, film screenings, work in progress screenings, and educational programs for girls. HWF offers one-week intensive summer camps, from basic to advanced filmmaking and animation, as well as an after school program usually during the spring called Making Media That Matters (currently offered). Films produced and directed by these students are screened as part of civic engagement opportunities throughout the year as well as officially selected to showcase at the Hawaii International Film Festival and other film festivals. “We believe that a larger number of women involved in the creative process will change what we see now,” noted Zambonelli. Finally, HWF also sponsors the Women of the Pacific Film Festival, this upcoming October. And who knows? Maybe one day the female directors behind the camera will be written about and covered by the media as much as the female actresses in front of the camera, and everyone will know their names. 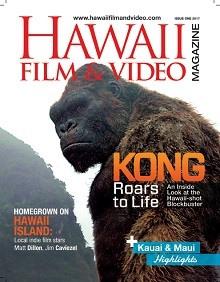 For more information, visit www.hawaiiwomeninfilmmaking.org.